Once Upon a Time just ended its sixth season, but what’s next for the ABC TV show? Recently, creators Edward Kitsis and Adam Horowitz spoke with Deadline about the future of the fantasy drama. 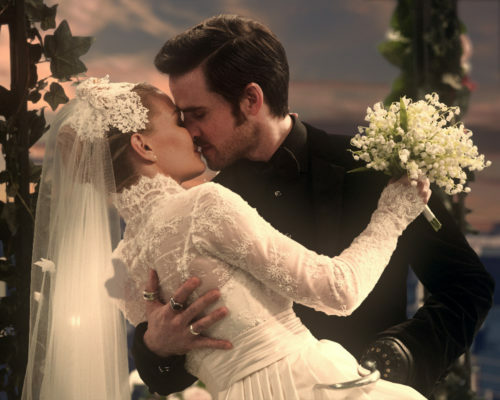 Earlier, we reported that ABC has renewed Once Upon a Time for a seventh season. However, that new season will not feature leading cast members Jennifer Morrison, Ginnifer Goodwin, Josh Dallas, Emilie de Ravin, and Jared S. Gilmore. Instead, the showrunner plan on rebooting the series, introducing new characters and new storylines. Obviously those three are very important to the storytelling we have planned for next season, as is Andrew West as the adult version of Henry, so it’s really four returning characters. And then there’s Allison Fernandez as his daughter, so that becomes kind of the core we’re building around. What do you think? Are you a fan of Once Upon a Time? Will you watch season seven? More about: ABC TV shows: canceled or renewed?, Once Upon a Time, Once Upon a Time: canceled or renewed? I think that season six was the “Swan Song” for the show with the exiting of Morrison and the majority of the original cast gone . The creators need to consider Season 7 as the series finale and come up with an ending that will satisfy all of the shows fans. I feel without Snow, David, Emma, Henry, & Belle , the show won’t be as exciting. I started watching “Once” 4yrs ago & fell in love with the way the Disney characters were real.I had heard folks talking about how exciting it was.So, I got “hooked” on the show & felt like the characters were like family! !So, yes I will continue to watch, “Once” until it does end. I too will be watching. I think this is going to be a great way to move on with the story and can’t wait for the new season.to start.